Tattered red, white, and blue Filipino flag. The flag was found in a footlocker that belonged to Claude Spurlock (1877-1953), who was born in Perry, Kansas. 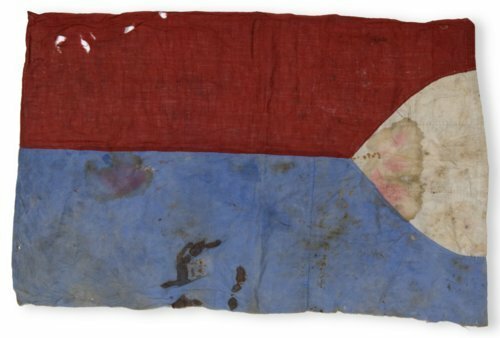 Spurlock probably acquired the flag while fighting with the 20th Kansas Infantry Regiment in the Philippines during the Spanish-American War. While there, Spurlock worked as an instructor to Filipino forces. He later returned to Kansas and worked in the meatpacking industry in Kansas City.